Uber's autonomous vehicle unit has raised $1 billion from a consortium of investors including Soft Bank Group, giving the company a much-needed funding boost for its pricey self-driving ambitions on the eve of its public stock offering. 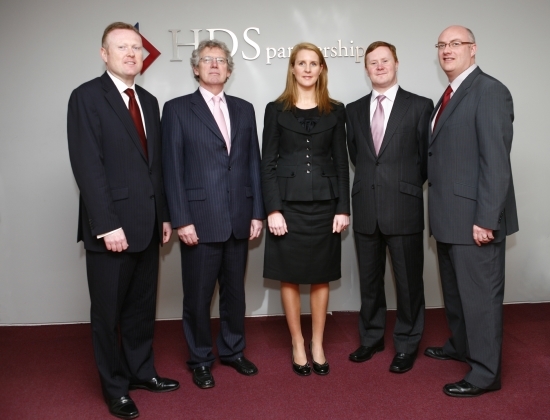 HDS Partnership is an established Practice of professional advisors with offices at RiverPoint, one of Limerick’s most recognisable and prestigious landmark buildings. The Partners are John Hinchy, Eddye Duffy, Dara Smyth, Louise Matthews and Gearoid Flannery, all of whom bring a wealth of experience and expertise to the Practice. The Partners are supported by highly qualified staff, who have direct experience in business matters and offer clients expert advice. The Firm’s extensive client base encompasses a broad range of sectors including, Retail, Manufacturing, Engineering, Tourism, Professionals, Medical, Financial Services, Construction and Property Development. The geographical spread of clients extends throughout the Mid West, South-West, Midlands and South-East of Ireland.